These days, every other kid is having allergy. Allergens are present everywhere, whether it’s at school, home, playground or maybe lurking in the changing weather. The pesky nature of these allergens always keep you anxious and agitated, not knowing when they’ll sneak up on your child. Here are a few signs to look out for helping you understand the difference between viral infections and allergy. Does your child constantly scratch his eyes AKA itchy eyes? Seems like his eyes water too much? Have a pet cat or dog at home? The most common allergens or pre-disposing factors causing allergic reactions exclusively affecting eyes are pollen, dust mites and pet dander. Days when the pollen count is soaring, try to stay indoors under the air conditioner to avoid getting in contact with the allergen. Colds tend to present with the same symptom, however what distinguishes the two is the nature of the discharge. Common cold presents with a nasal discharge that runs clear initially but the mucous later changes to a thick consistency. But, if you observe persistent clear discharge for more than seven days, it indicates your child does suffer from an allergic reaction. Sore throats are not an immediate symptom of allergic reactions. The main culprit here is the constant runny nose or severe sneezing. Post-nasal drip tends to occur due to the congestion or blockage in the sinuses which drips down the throat, causing irritation and pain. Sometimes, not treating the allergic reaction may even cause difficulty in speech. Airborne allergens such as mold, mildew, pet dander, pollen and smoke may cause the symptoms. If your child’s cough is chronic, lasting for more than eight weeks, seasonal allergies can contribute as one of the causes of chronic cough. Cough acts as a natural defense mechanism to the allergen. As mentioned above, post-nasal drip irritates the throat and subsequently leads to a dry cough in an attempt to expel the mucous. Chronic stomach pain tends to occur due to food allergies. The increase in the levels of histamine causes inflammation and irritation in the gut, which results in nausea and stomach pains. Studies reveal that ninety-five percent of food allergies are a result of nine basic foods which include egg, milk, shellfish, nuts, wheat, corn, fish, soy and peanuts. Allergic reactions cannot be cured, but the causative agent can certainly be eliminated. If the child’s biological parent or sibling has an allergy,your child is at a higher risk to develop the same. To prevent your child’s exposure to certain allergens, inspect your house to keep a check on any mold growth. Use of humidifiers and filters in vents can help reduce dust. If you have a pet at home, keep them out of your child’s bedroom. This will prevent any severe reaction from pet dander. Alert your child’s teachers about the condition and steps to be taken in case of a reaction. 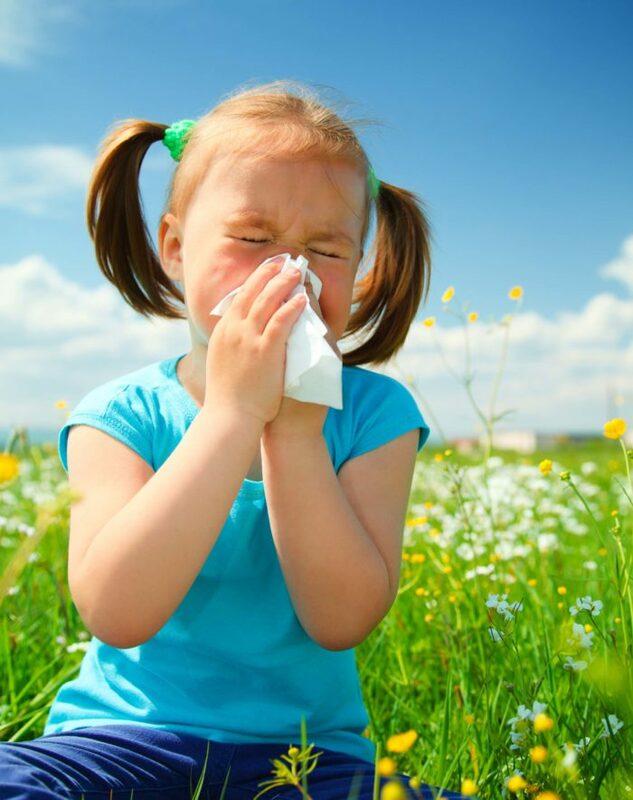 If your child keeps getting recurrent episodes of allergic reactions, do not hesitate to consult a general allergist. Allergy prevention is a pretty tough job , but with proper diagnosis and treatment, you will observe significant improvement in your child’s health. Next articleFood That Can Help You Lose Weight, Really!